Mayer Brown has a long track record of appellate victories—big and small—that advance our clients’ interests. But at Mayer Brown, appellate litigation isn’t just about winning cases. It’s about shaping the law. 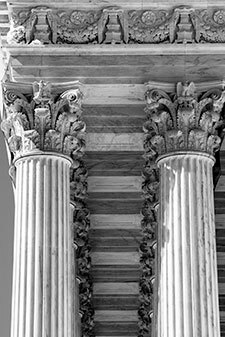 Through our work in the Supreme Court, Mayer Brown’s elite team of lawyers has transformed the legal environment. With a case that “turned the world of consumer class action law on its head” (Law360), we pioneered the use of arbitration to avoid inefficient consumer class actions (AT&T v. Concepcion). We convinced the Supreme Court to recognize constitutional limits on punitive damages (BMW v. Gore, Philip Morris v. Williams, and Honda v. Oberg). And in “the biggest securities-litigation court clash in a generation” (The Wall Street Journal), we snuffed out the theory of securities fraud “scheme liability” (Stoneridge v. Scientific-Atlanta).